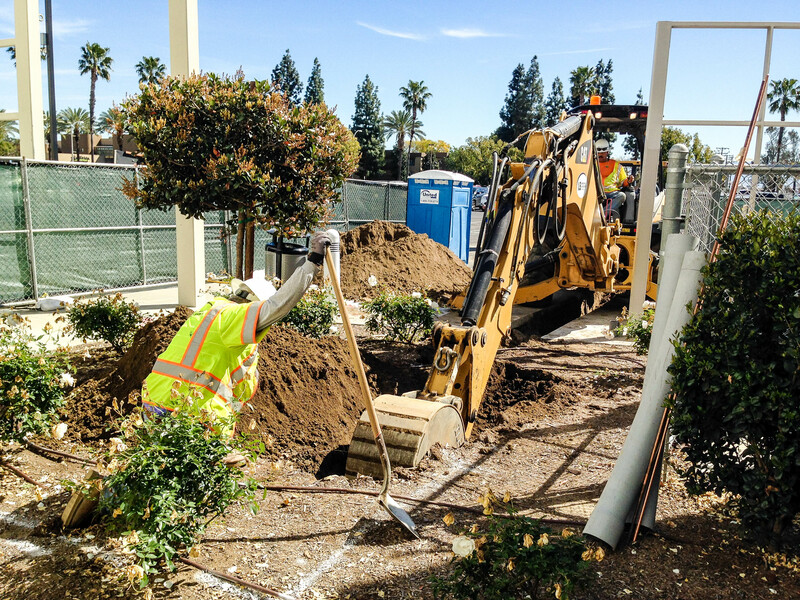 Through its Charge Ready program, SCE is providing infrastructure for hundreds of electric vehicle charging stations throughout Southern California. Lynwood and Ontario are the first among 50 sites to install the charging stations in SCE’s territory. UPDATE: In celebration of being the first Charge Ready site, Lynwood is holding “Plug-in to Earth Day” at the Lynwood Civic Center on April 22. In addition to a “plug-in ceremony,” the event will feature live entertainment and activities for all ages, including the opportunity to test drive an electric vehicle. The two cities are among the 50 sites within SCE’s service area currently scheduled to add more than 800 charging stations through Charge Ready. Sites include workplaces, hospitals, destination centers, apartment and condominium complexes and fleet parking areas. 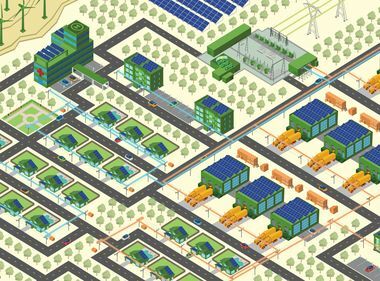 “Charge Ready is designed to accelerate the market for electric vehicles by boosting the number of charging stations,” said Megan Mao, SCE principal manager of Product Development & Division Management, who oversees the program. 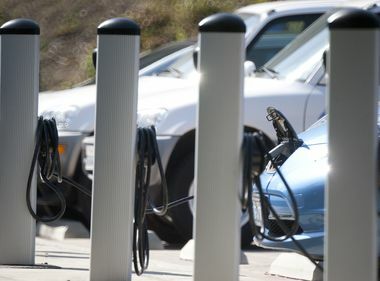 Many of the charging stations will be installed in “disadvantaged communities,” or communities the state has identified as being disproportionately affected by pollution and economic hardship. In Lynwood, one such community, six electric vehicle charge ports are now fully operational and are being used to charge up Lynwood’s new fleet of electric vehicles driven by city employees from code enforcement and other city operations. Eight more charge ports in the civic center public parking lot are expected to come online this month. “We are excited that this program not only gives our citizens more options to charge electric vehicles, but also by having a fleet of electric cars, the city of Lynwood is part of the solution to cleaner air and lower greenhouse gas emissions in Southern California,” Lynwood City Manager Alma Martinez said. Through the Charge Ready program, the city of Ontario will install more than 45 new electric vehicle chargers at seven key locations throughout the city. The first sites to come online will be at Ontario Convention Center, City Hall and the police station, according to City Manager Al Boling. "We are pleased to be working in partnership with SCE to bring resources to our community that will protect our environment,” Boling said. “These projects highlight the city council's commitment to operate in a businesslike manner, invest in our infrastructure and reduce greenhouse gas emissions." Most of the other Ontario charging station locations, including Ontario Library, Citizens Bank Arena, Whispering Lakes Golf Course and a community center in south Ontario, are expected to come online this summer. The pilot is just one example of how SCE supports critical greenhouse gas and air quality goals by promoting the adoption of electric vehicles. 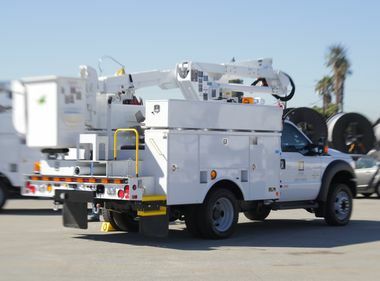 Earlier this year, SCE also filed a wide-ranging plan with the California Public Utilities Commission to increase electrification of a broad range of vehicles, including buses, medium- and heavy-duty trucks and industrial vehicles and equipment.